Later on, Disha laid down conditions for her return, which were a fee hike from Rs 1.25 lakhs to Rs 1.50 lakhs per episode, a shorter duration of her shift from 11 am to 6 pm and also shooting for only 15 days per month. It was also reported that Disha’s husband Mayur’s interference was making it difficult for the makers to directly negotiate with Disha. However, while talks were going on, Disha shot at her house for a few close up shots which were being used in the show until a few months back. 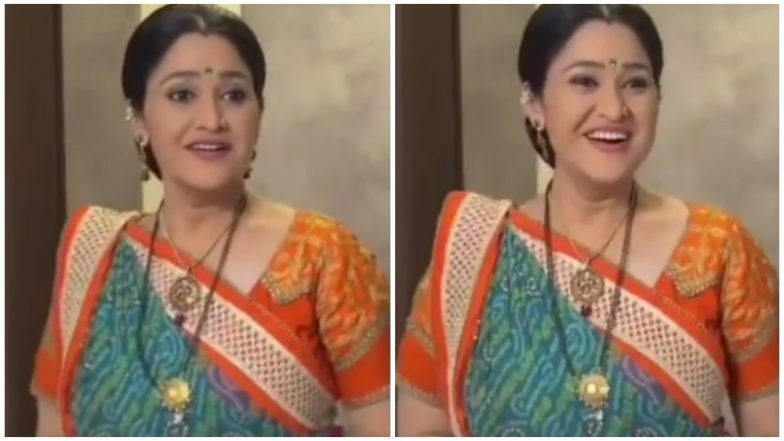 Disha Vakani Officially Out Of SAB TV’s Taarak Mehta Ka Ooltah Chashmah; Here’s The REAL Reason! And while fans of the show have been pleading Disha and the makers to bring her back, seems like the lady herself is missing her show. only yesterday, Disha shared a throwback video of her initial return to the show after her baby’s delivery. Well, looks like ardent viewers of the show are not the only miserable ones and Disha herself misses Dayaben, after all, she did play the role for almost a decade. However, chances of her return are bleak, for the last time, reports rolled in that Disha’s chartered accountant husband Mayur believed that producer Asit Kumar Modi owed his wife some unpaid dues. A source close to the entire matter had revealed, “This kind of interference (Disha’s husband Mayur’s) is difficult to understand. Our show is going well, TRPs without Daya Ben have not been affected. Every other actor is working hard on his/her track and we are converging well. If Disha wants to return to Taarak Mehta Ka Ooltah Chashmah, we will have to see if her comeback will justify the show. Plus, it will have to be on terms and conditions agreeable to Disha and Modi both." Chidiya Ghar Actress Ami Trivedi Roped In to Play Disha Vakani’s Character Dayaben in Taarak Mehta Ka Ooltah Chashma?